Palm Beach Dyno Custom NA Tunes are created by our team of tuners specifically for your car based on the modifications and fuel you are using. Palm Beach Dyno is not only known for our remote tuning, but we also operate a full-time Dyno Tuning facility that allows us to not only develop these tunes but to continually refine them over time with each car we touch. It's a recipe that cannot be matched by anyone else. The X4 Performance Programmer delivers street-tested, dyno-proven tune files developed by Palm Beach Dyno expert tuners to unlock each vehicle’s true potential. Its sleek design, full-color display and customizable gauges help track, data log, and adjust powertrain performance to deliver more horsepower and torque when it’s needed most. 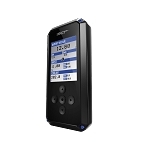 A variety of customizable vehicle functions, from timing and rev limiter adjustments to wheel and tire size calibration, enable the X4 to custom tailor your vehicle to your unique standards. 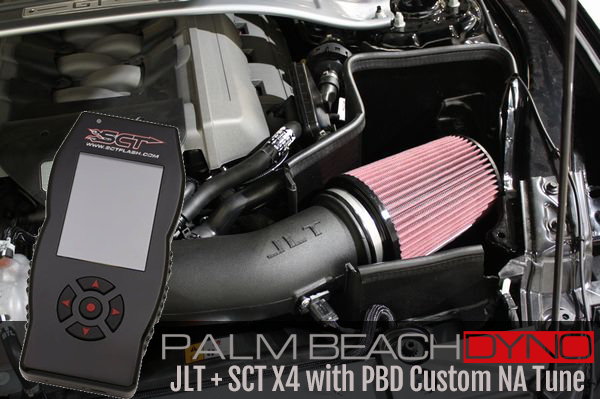 JLT's 2015-2017 Cold Air Intake is better than ever. Fully computer designed to optimize space and for best fit and finish. Large 5" filter inlet with radiused end for smooth air flow across the MAF. MAF size is 110mm. Tube measures 4" at the throttle body side in preparation for larger after market throttle bodies. We use only the best air filters made by S&B to our specifications. We love S&B's tapered flange design and Powerstack filtered ends. With a huge 5” opening on the tube, we needed a huge filter. The result is a monster 5"x7” filter with built-in bellmouth for more airflow.